Victory Energy offers a comprehensive line of combustion solutions including low NOx VISION Burners – complete with totally integrated combustion controls capabilities, both for new and retrofit boiler applications. The ability to design, manufacture and integrate both the steam generation and combustion systems assures our customers overall system compatibility and single source responsibility. 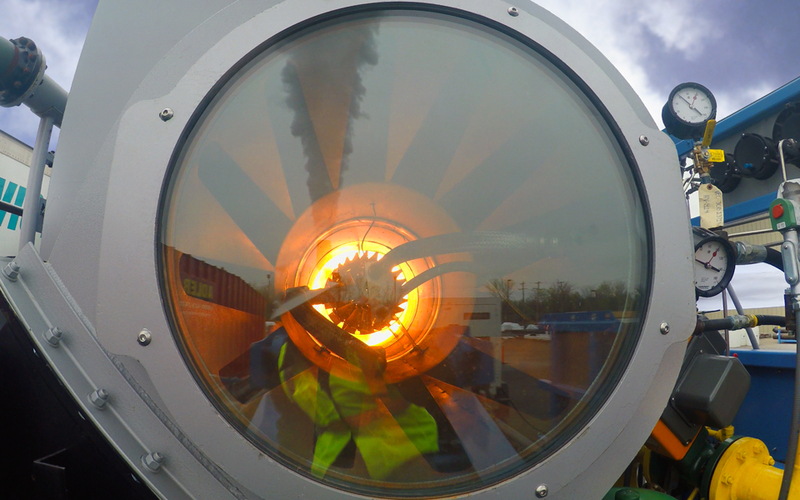 VISION Burners are operating flawlessly in demanding applications around the globe. The VISION Burner technology ensures complete and efficient combustion with very low emissions; < 30 ppm NOx with low FGR rates. This sturdy and simple design translates into high reliability and low maintenance. The VISION Burner can be applied to both single and multi-burner boilers. The center core flame serves a dual purpose of igniting the main premix flame while also stabilizing it during nominal operation. The core flame is capable of firing independently to increase the turndown ratio; in excess of 10:1. 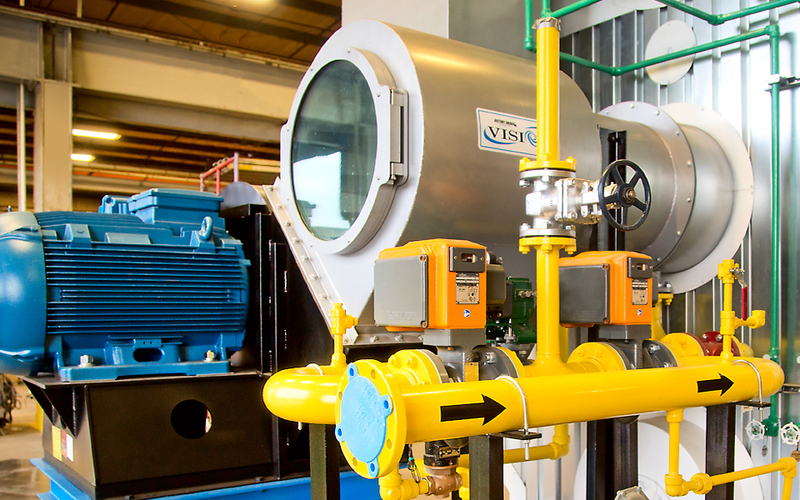 Through the Combustion Solutions product unit, Victory Energy offers a complete suite of solutions that work efficiently and seamlessly with all Vision Burners. Our in-house team of control experts and engineers design complete combustion packages that include the fuel train, the controls and instrumentation and the overall burner management system.